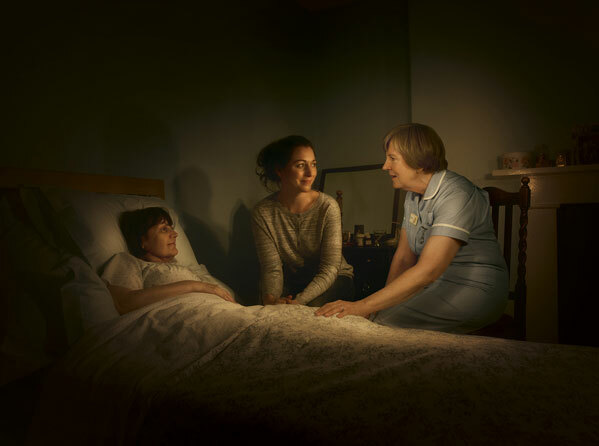 A charity is using a TV ad campaign to highlight the service provided by its nurses at night to people living with terminal illness. The TV advert for Marie Curie features Elizabeth Woolley, a nurse who has worked for the charity for seven years. It shows a Marie Curie nurse, represented by a ball of glowing light, starting a shift at a house at 10pm to care for a patient. The ball moves around the house throughout the night before it is revealed to be the nurse, as she finishes her shift. The advert is called Light in the Darkest Hours and it is produced by the Saatchi and Saatchi agency. It will air throughout this month. Ms Woolley said: ‘My job can be difficult, both emotionally and physically, but the satisfaction you get from being able to provide one-to-one care and support overnight is so rewarding. Radio adverts featuring stories from real-life carers will also support the campaign.